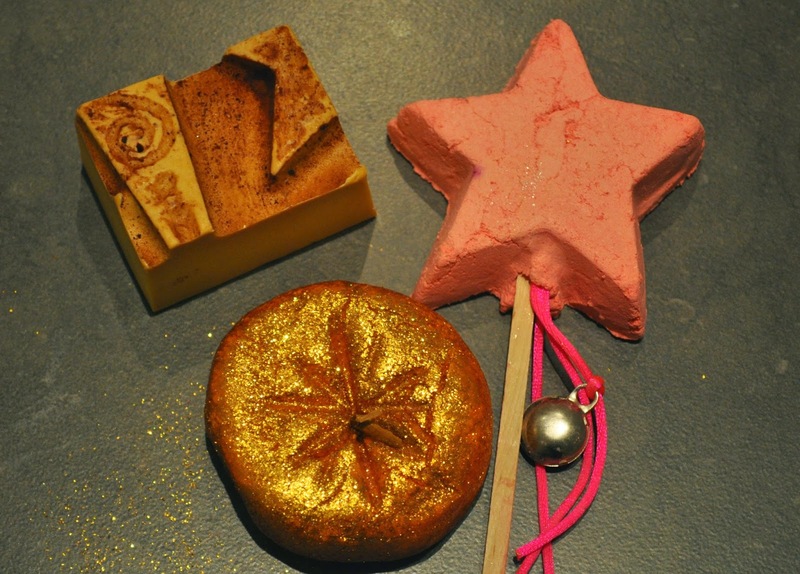 It's Chelsea: Festive bath products from Lush! So I accidentally fell into the Lush shop after work... And I'm proud of myself for managing to restrain myself to just 3 things. The Halloween/Christmas products have already come out and there were so many things that I wanted. The one good thing about cold weather means more baths and more shopping trips to Lush! I decided to go for things that I'd never tried before, although they're the scents that I would usually go for - sweet. 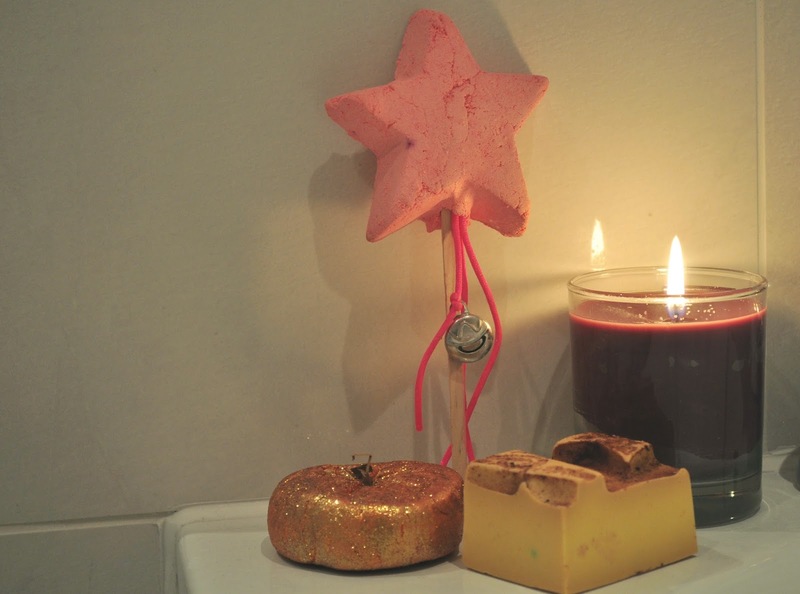 This is such a cute idea - you're supposed to swish the magic wand in your bath to create bubbles. You can probably tell from the colour of it that it smells just like sweets. I literally can't wait to use this. 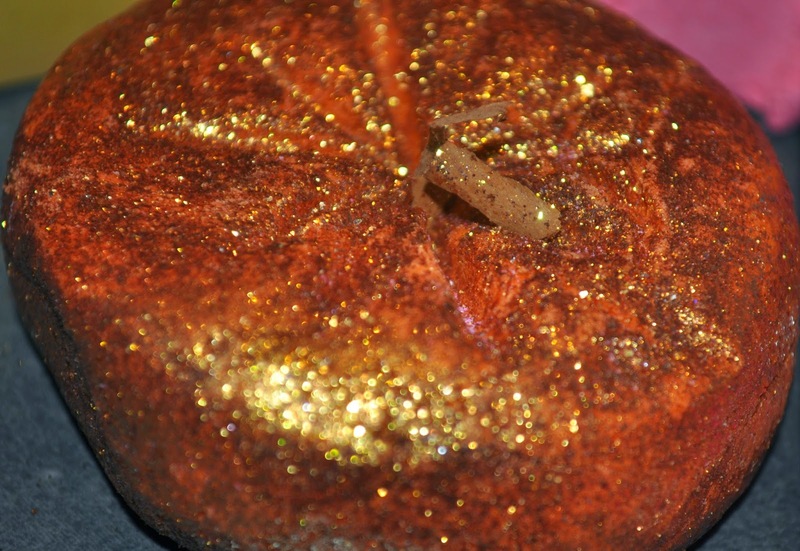 CAUTION - this is extra glittery! An explosion of glitter landed all over my bathroom floor when I took it out of the paper bag. I haven't used it yet so I'm not sure if you will end up looking like a disco ball afterwards but it's okay, it smells amazing. It says it's got juniperberry (never heard of this! ), lime and grapefruit oils in it so it smells lovely and citrussy. This smells good enough to eat! it's a very sweet honey sort of scent which contains soya yogurt and ylang ylang essential oils which you just rub all over your body. The description on the Lush website says it smells spicy but I can't smell that at all. What have you been loving from their festive range?